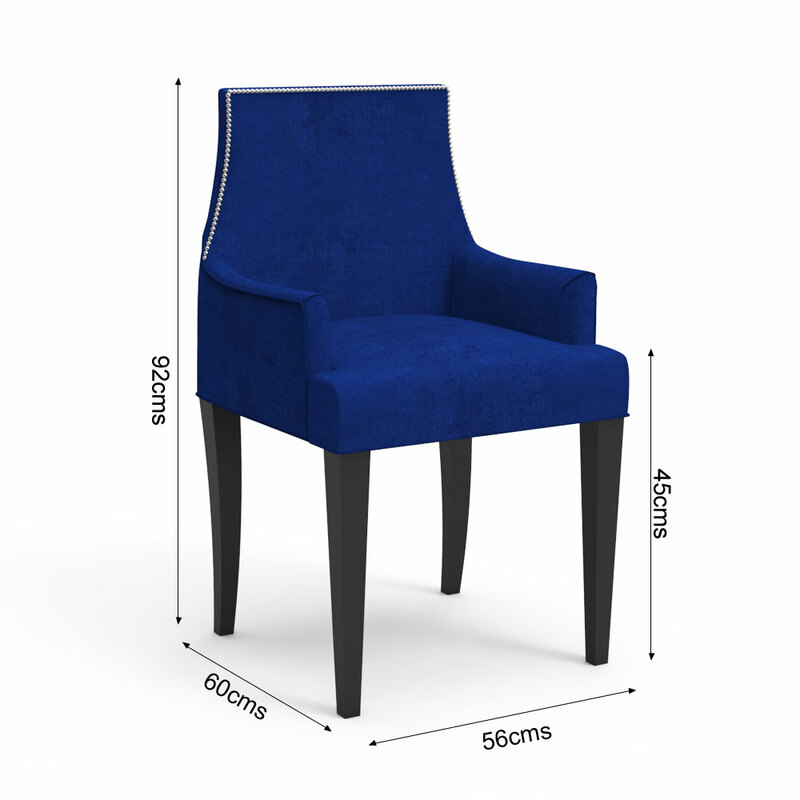 Planning a new look for your dining space? 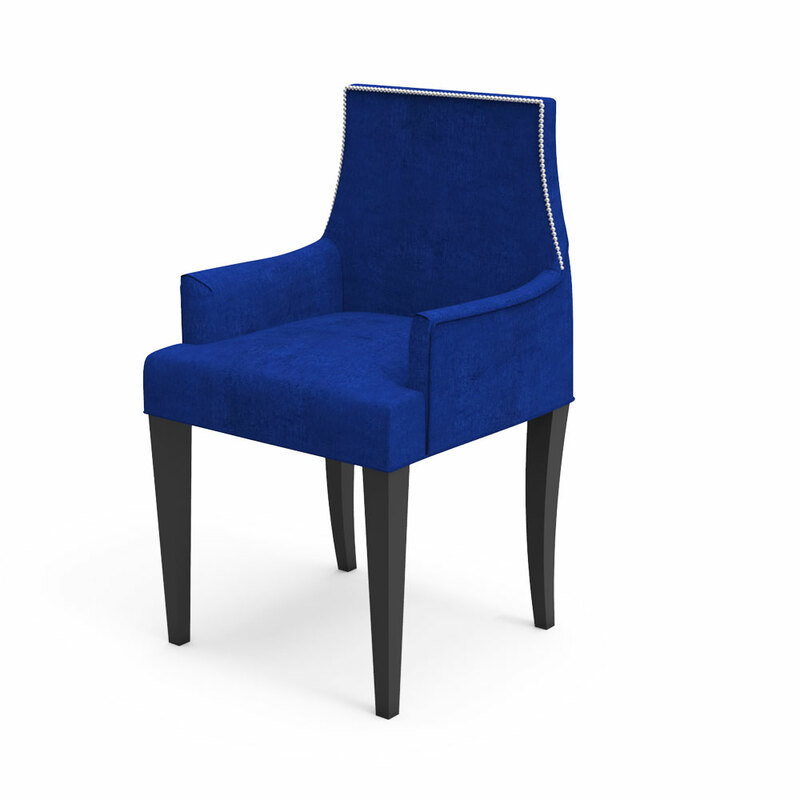 This mesmerising modern dining chair that comes with statement Blue upholstery will brighten your summers and soothe your winters. 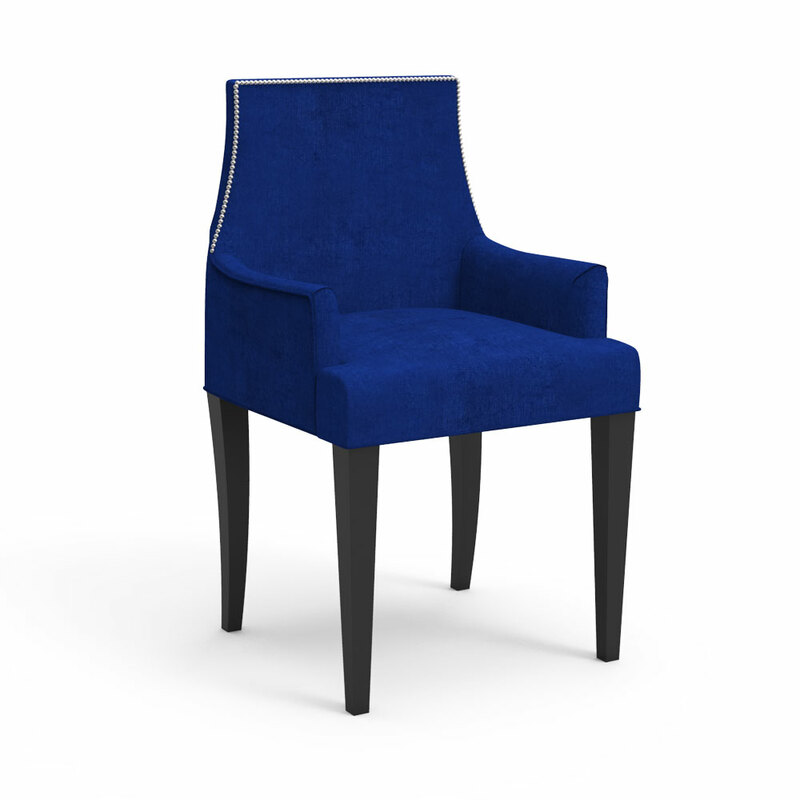 So go ahead and make dining a luxuriant experience with the armchair design of this chair. 1. 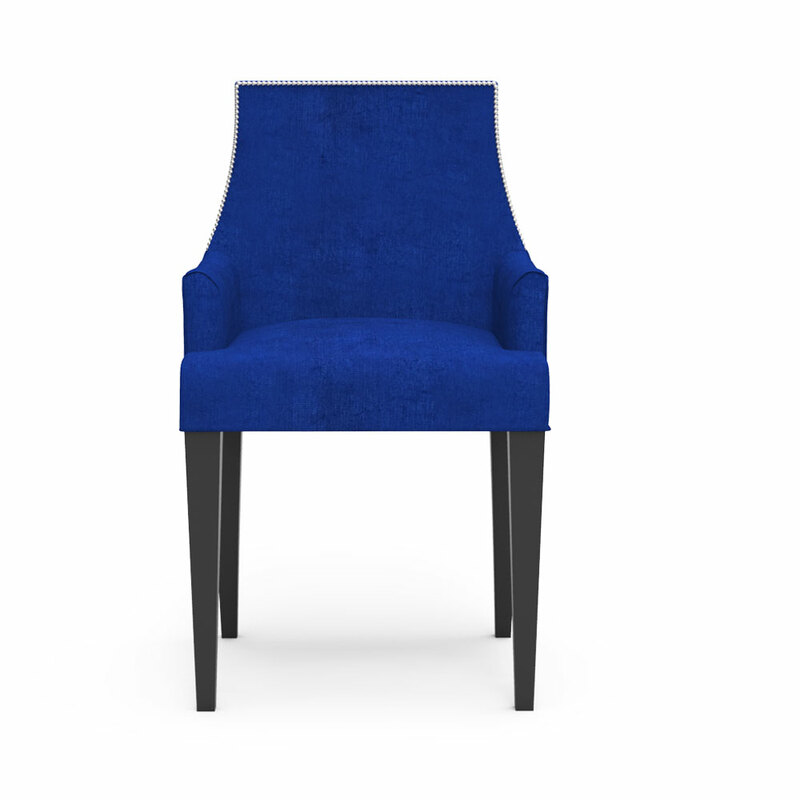 Comfortable with armchair style, this upholstered chair is generously cushioned for comfortable dining/seating.